Avalanche is located 45km south east of Canberra (Australia's Capital) in the magnificent Tinderry Mountains. The main homestead is positioned on a spur with truly spectacular views. The homestead has three guest rooms each with en-suite private bathrooms. There is a warm lounge area with open fire and tea and coffee making facilities, although all guests are welcome to use the huge living area and dining room at the homestead. Plus we have two luxurious self catering cabins. The deluxe one has two large bedrooms each with en-suites a lounge area with kitchen and a large deck overlooking the mountains - very private. The second cabin has two double bedrooms with a lounge/kitchen area plus large bathroom and out door deck. Private with great views - great for families. The property runs cattle and fine wool sheep. The horses are used for mustering the stock, although we have some quiet ones for guests who have not ridden for some time. Avalanche provides an opportunity for guests to experience the daily operation of a successful farming operation. 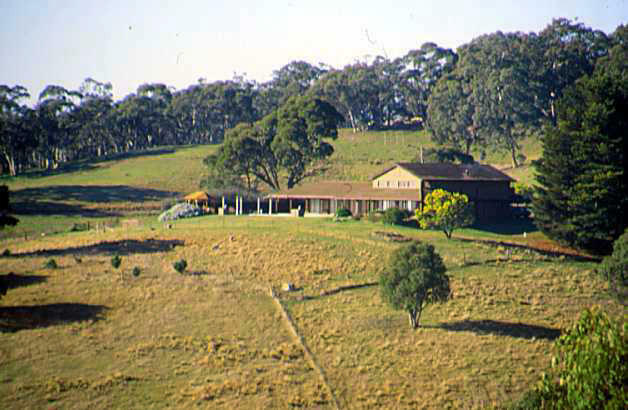 You may join in or observe the work, see the dogs bring in the sheep and cattle, have ago at shearing a sheep under the expert guidance of a shearer, ride or walk through the tall eucalyptus trees and see and hear the many different types of birds and native animals that make it their home. For those not so agile there is always a 4WD vehicle to transport you around the property. If you wish to relax, there is a good selection of books in the library. A good book and a cool drink in the Gazebo overlooking the swimming pool and the mountain panorama is a great way to relax. Avalanche has entertained guests from all over the world and from all walks of life, religions and beliefs. Invariably the comments in our guest book and subsequent letters state that their stay at Avalanche was the highlight of their Australian holiday. A number of guests have written stories about their experience at Avalanche and a number have been published. Faye and I are proud of our reputation for personal service and the quality of our product which has been recognised by the industry. Avalanche has won an Australian Tourism Award and numerous State Awards for Specialist Accommodation. 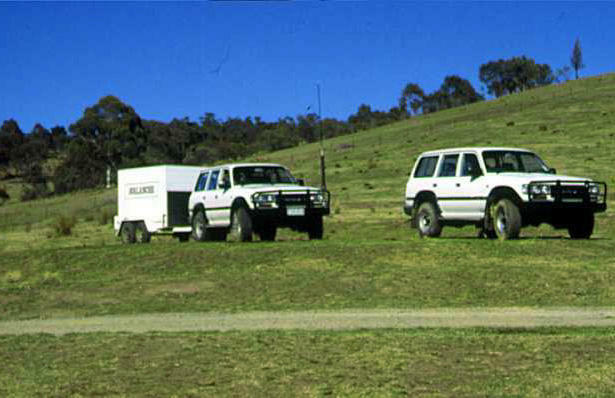 Avalanche can provide 4WD safari transfers from Sydney or Canberra and conduct personal tours of Canberra City. 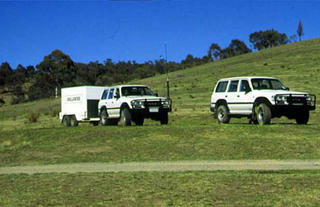 We have a range of luxury 4WD tours from Sydney to Melbourne via Canberra and from Melbourne to Sydney via Canberra. All of our programms are flexible and we can meet most personal requirements.